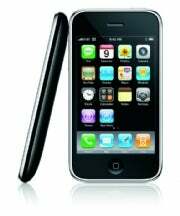 iPhone 3.0 Adds Features Users Wanted - Where Are the Rest? In anticipation of Apple's 3.0 iPhone software announcement tomorrow, Kevin Rose, founder of Digg.com, revealed some details on the new features expected in the next iteration of iPhone's operating system. In a yet unaired episode of the technology show Diggnation, filmed during the SXSW (South by Southwest) conference in Austin, Texas this weekend, Rose explained (video below) how the copy and paste function will be integrated in the iPhone 3.0 OS. According to Rose, to copy or cut a word with the upcoming iPhone 3.0 OS, you have to double tap on a word and a magnifier bubble will appear on screen (similar to the cursor magnifier when typing) with two quote marks at the beginning and the end of the word. You can then drag the quote marks around to select how much text you want to copy and three options will pop on screen --allowing you to cut, copy or paste. Rose also made an interesting observation, saying that (according to his sources) the new iPhone OS will match Palm's upcoming Pre phone features. Rose did not explain further what he meant by matching Palm Pre's features, but previous rumors suggest that tethering (iPhone as a modem) will be on the list. He further speculated that MMS (picture messaging) and video capture would not be present. Meanwhile, PC World's JR Raphael has a list of the main iPhone 3.0 OS features that might make the cut. Diggnation video segment of Kevin Rose on the iPhone 3.0 OS.